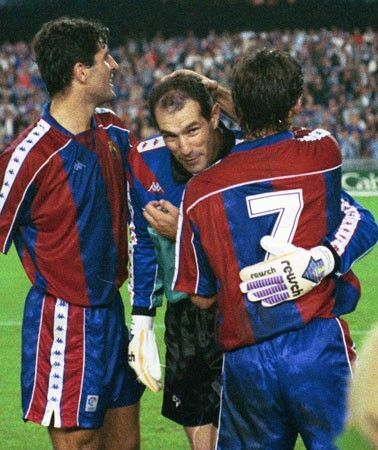 Andoni Zubizarreta Urreta was born 23 October 1961 in Vitoria-Gasteiz, a city thirty kilometres away from his hometown of Aretxabaleta. Nestled in a valley among the hills of Gipuzkoa near Mount Kurtzebarri, Aretxabaleta boasts a population of just over six thousand. Dating back to the tenth century, the town has a rich history, evident in the Palacio de Otalora and the Iglesia de Nuestra Señora de la Asunción. 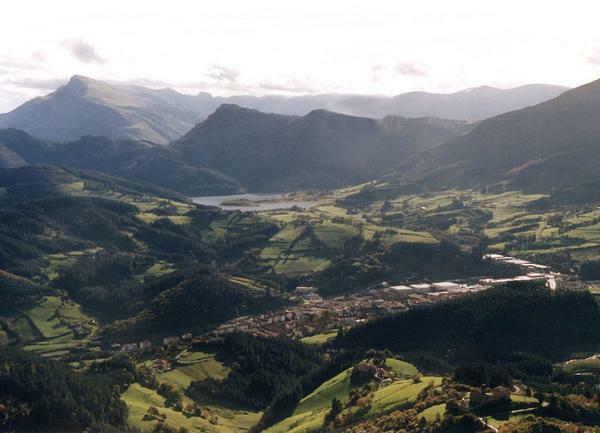 The town is also home to UD Aretxabaleta, the club where Zubi began his footballing career at the age of fifteen. Founded in 1946, the club has spent most of its history playing in the División de Honor de Guipúzcoa, the fifth tier of Spanish football. They have had an intermittent five seasons in the Tercera División, after all of which they were relegated again. Two years after joining the club, Zubi moved to Deportivo Alavés in Vitoria-Gasteiz. It was at Alavés where Zubi began to make a name for himself. In August of 1980 he was signed by Athletic Club for 30 million pesetas (€167,000), a friendly between the two clubs, and a stipulation he remain at Alavés for one more season. In the first half of 1981 while also finishing his duties with Alavés, Zubi played 7 times for Bilbao Athletic, the club's reserve squad. 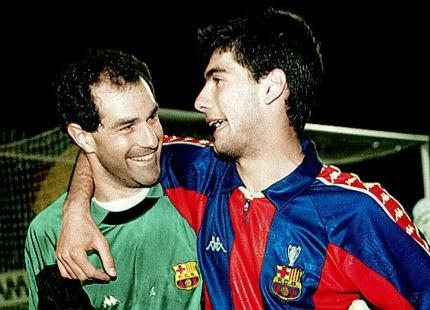 When the team's manager, Javier Clemente, was promoted to the position of manager of the first team, he took nineteen year old Zubi with him. A month before his twentieth birthday, Zubi made his La Liga debut against Atlético Madrid at the Calderón on 19 September. 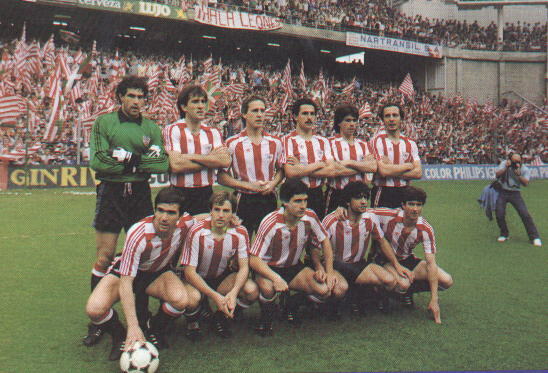 Athletic lost 0-2 that night, but Zubi cemented himself as starting goalkeeper. The team finished fourth, up from previous mid-table finishes of the past few years. With his teammates before the final match of the 83-84 season, against Real Socieded in San Mamés. Athletic won 2-1, thus winning La Liga. Over the next three seasons, Athletic Club ruled Spain. 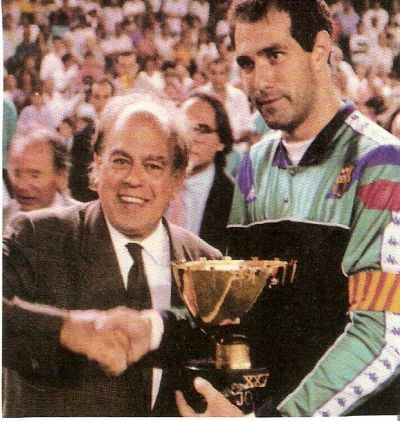 With Zubi in goal, they won back to back Liga titles in 82-83 and 83-84 and the Copa del Rey in 1984. They finished the 84-85 season in third place, and won the Supercopa de España, a year after being runners-up for the cup. 85-86 saw the team into third again, and in the summer of 1986, Zubi caught the attention of FC Barcelona at the 1986 FIFA World Cup. Zubi signed with the Catalan giants in August for €1.7 million, a then-record for a goalkeeper signing. Zubi's beginnings at Barça were not easy. 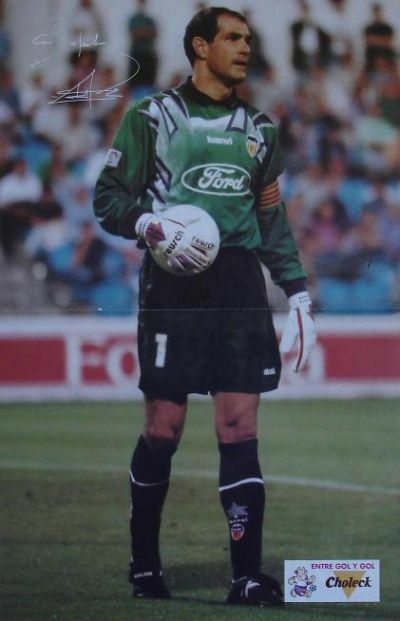 After six seasons between the sticks for the Catalans, fellow Euskaldunak Javier Urruticoechea, or Urruti as he was called, was a fan favourite. But manager Terry Venables had faith in the younger keeper, and Zubi had a fantastic season. The team finished runners-up in La Liga behind Real Madrid and Zubi was awarded the Zamora. 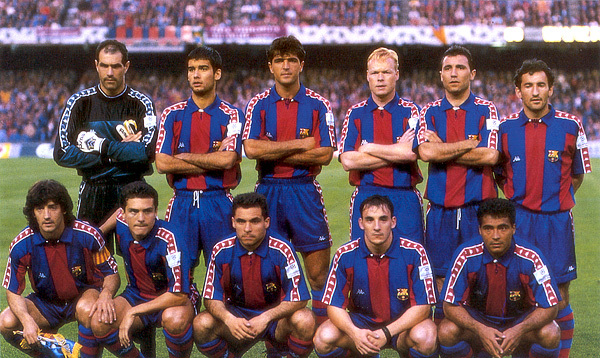 Between 1988 and 1994, the Barcelona Dream Team under Johan Cruyff amassed an astounding 11 titles, the peak being 1992 when the squad won four: La Liga, the European Cup, the UEFA Supercup, and the Supercopa de España. In the team's four back to back Liga titles, Zubi missed only four matches for rotation and illness. 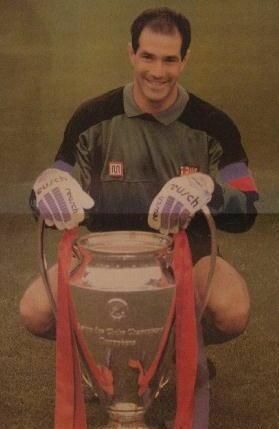 With the 1992 European Cup. 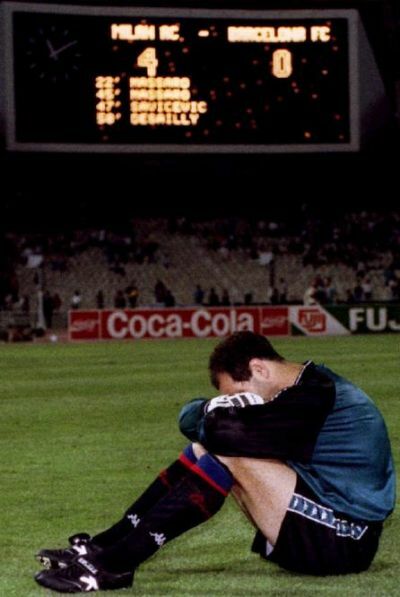 Despite winning the 93-94 Liga, Barcelona lost the Champions League final in Athens, 4-0 to AC Milan. President Josep Lluís Núñez found a scapegoat in the keeper, and Zubi was sold to Valencia CF. Zubi played four years at Valencia as the undisputed number one, for a total of 152 matches under the crest of Los Che. In his second season with the team, 95-96, Valencia finished second in La Liga, with Atlético Madrid in first, and former club Barcelona in third. 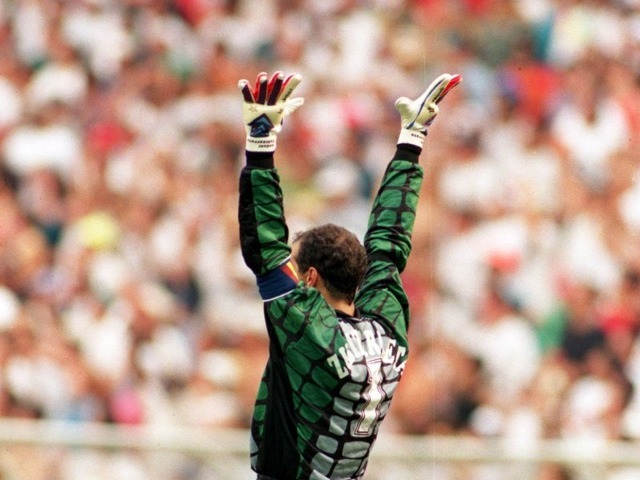 He hung up his boots in 1998 at the age of 37, though he was still fit to play and the team's number one. A lackluster World Cup - including an own goal against Nigeria in the group stages - and media backlash prompted him to retire from both the club and world stages. Captain of Valencia is his final season with the club. 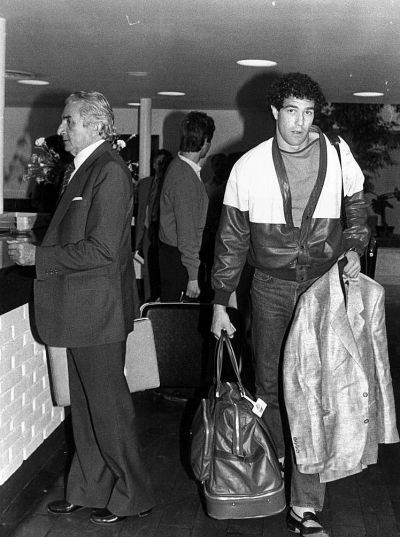 Zubi began his career with the Spanish u18 side in 1979, and on 23 January 1985, he made his debut with the Spanish senior squad. In the friendly, Spain beat Finland 3-1. Over the next thirteen years, Zubi played 126 matches for Spain and ended his career with .79 goals allowed per match. He played in four FIFA World Cups and captained the side in the last two (1986, 1990, 1994, 1998), but never made it past the second round. He also played in two UEFA European Championships (1988 and 1996) (the side did not qualify in 1992). 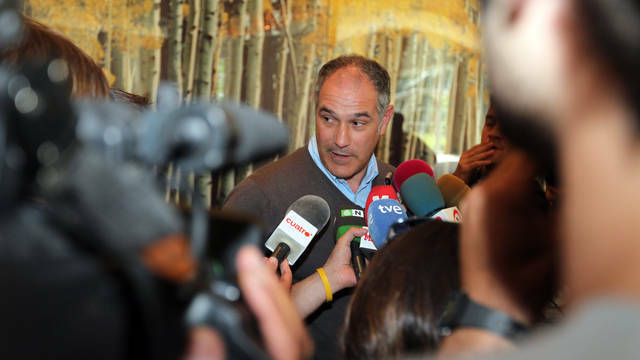 -	Zubizarreta, when asked if he's seen enough football. In 2001, newly elected President of Athletic, Javier Uria, appointed Zubi as the club's Sporting director, a sposition he held until 2004. 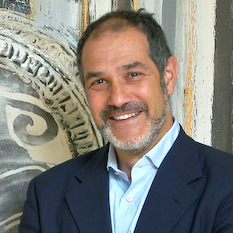 He is a founder and partner of Makeateam (a division of of Grupo Inmark), a corporate training company that uses sport to improve management, professional, and business skills. Following his election as Barcelona president, Sandro Rosell gave Zubi his second position as Sporting director, one he still holds. As Sporting director, Zubi's responsibilities include creeping on other teams' players, giving the managers advice, dealing with the RFEF and the LFP, and club ambassador. 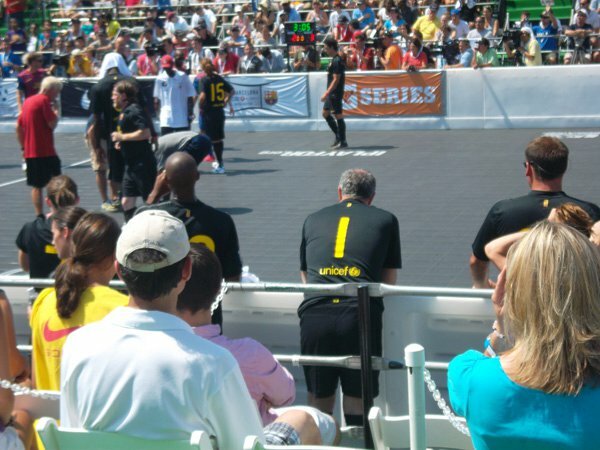 It was for his position as ambassador that Zubi participated Mia Hamm and Nomar Garciaparra's Celebrity Soccer Challenge in August 2011 when the club was in DC for their pre-season tour. 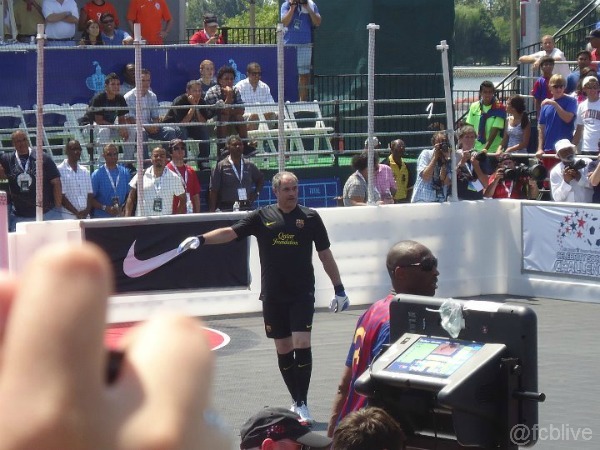 He donned a #1 away kit and put on gloves to take his place between the sticks of the futsal match. Waiting for his turn to play. Most national team appearances: 126; Held until 15 November 2011 when Iker Casillas made his 127th appearance. Zubi is now second. Accepting his award for 100 appearances with the national team. - Zubi married his wife Ane Miren in 1986, and they have 3 sons: Markel (25), Luken (20), and Jone (14). Markel is the keeper for CP Sarrià, Luken is studying medicine, and Jone plays pivote for his school team. You can read a short piece about Markel and his dad (in Spanish, if you need a translation just ask) here. - When Club staff decided not to renew Zubi's contract, they told him the morning after the Champions final, before the team had even returned to Barcelona. Many fans are still angry about that, and the fact the keeper never had a proper farewell. - Zubi wasn't the only La Liga débutante on 19 September 1981. That night, Hugo Sánchez debuted for Atlético Madrid. Though he didn't score that night, the prolific Mexican striker would go on to score nine times against Zubi while the two played for Real Madrid and Barcelona, respectively. - Zubi held a dinner to say goodbye to his FC Barcelona teammates and staff before leaving for Valencia. 23 year old Pep Guardiola was found crying in the corner. - In his club career, he played 950 matches and allowed 808 goals, a goal allowance of .85 per match. Iker Casillas' club record? .96. - He loves to read and his favourite book is Ansichten eines Clowns (The Clown), by Heinrich Böll. 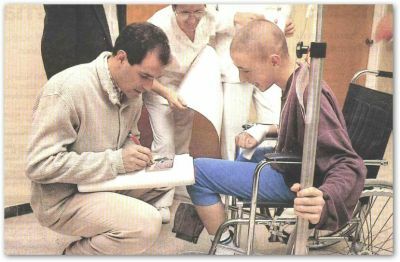 - If he wasn't a footballer, he wanted to be a chemist, but he earned a degree in History from the University of Valencia when he played there. - Like Lucho, he likes cycling. Another favourite sport is Basque pilota. Against Milan in the ill-fated 1994 Champions League final. 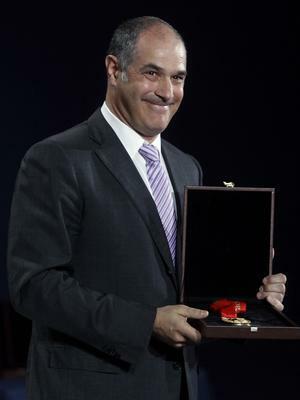 Andoni Zubizarreta is my idol. Though he left Barcelona way before I became a fan in 1999, his also an Athletic legend so I grew up watching old tapes of him with my Athletizale grandad. He was the player I always try to emulate on the pitch, even though I will never be as flawless as he is. But really, great job Alix. Very informative. Our club is super lucky to have people like Zubi, Rexach, Pep, Tito, and Cruyff working for them. 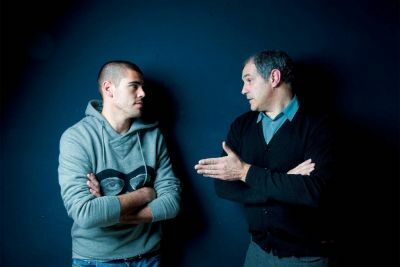 Without Zubi, we wouldn't have gotten where we are now, especially considering he was instrumental in keeping Iniesta. I really find him handsome in so many ways. hope me not the one here. always thought that was just one of those ~he's my people things, but I guess not, lol. he's more like the one I'd loved to spend my old days with. just look at his face.. oh he's wine. Zubi held a dinner to say goodbye to his FC Barcelona teammates and staff before leaving for Valencia. 23 year old Pep Guardiola was found crying in the corner. Where is this video of which you speak? I need it in my life. omg yessss, awesome! mila esker! this was epic, Alix, EPIC!!!!! and The Clown is his fav book. i have no words. excellent post for an excellent man. thank you! This post was extremely informative. I had no idea about Pep crying when Zubi left. Flawless post about a flawless man. Finally got the chance to read this entire beautiful post. Well done. It is glorious!